Oxandroxyl (Oxandrolone) – a synthetic steroid created in far 1964 under the trade name “Anavar“. Is considered to be the safest steroid in the world, here it is worth considering the fact that the drug is issued even in children for medical purposes. Oxandroxyl is ideal for the admission of women, because the risk of virilization phenomena is minimal. Anabolic activity – 400% of testosterone, androgen – 25%. Do not be fooled by the number 400% – the drug is very weak, and therefore safe. However, like any other steroid, suppresses testosterone production, so after a cycle of Oxandroxyl – PCT is strictly necessary. Increasing density and muscle relief. This property makes it a very useful drug in the last weeks of preparation to compete in bodybuilding. Increase in power performance, endurance performance. Especially this drug is loved by boxers, athletes, and so on. It gives the general tone, accelerate recovery between loads. 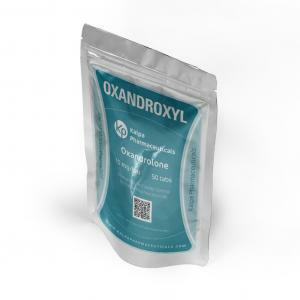 Oxandroxyl cycle is conducted solely for the purpose of improving the quality of muscle: burning fat, muscles impart hardness of fullness, as well as to increase the power performance or endurance performance (depending on the type of load). For a set of muscle mass this drug is not suitable because it is very weak. 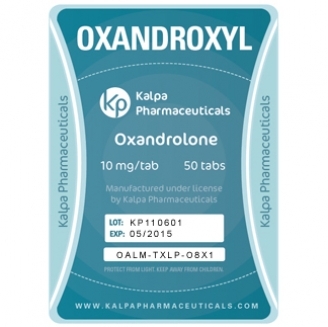 Cycle duration is 5-8 weeks, take Oxandroxyl for sale in a dosage of 50-100 mg. The drug does not aromatize, support of aromatase inhibitors is not required. After a cycle, it is necessarily to take an easy PCT using Clomiphene Citrate in order to restore the level of own hormonal profile. Athletes who correctly understand the scope of this drug, leave only positive feedback about Oxandroxyl from Kalpa Pharmaceuticals. 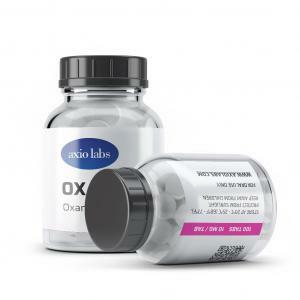 The drug is giving the desired muscle density and relief, it also greatly helps in increasing endurance, as once again show the reviews of Oxandroxyl by athletes and representatives of other disciplines that require a well-developed stamina. Branded by: Kalpa Pharmaceuticals Ltd. Produced by: Kalpa Pharmaceuticals Ltd.